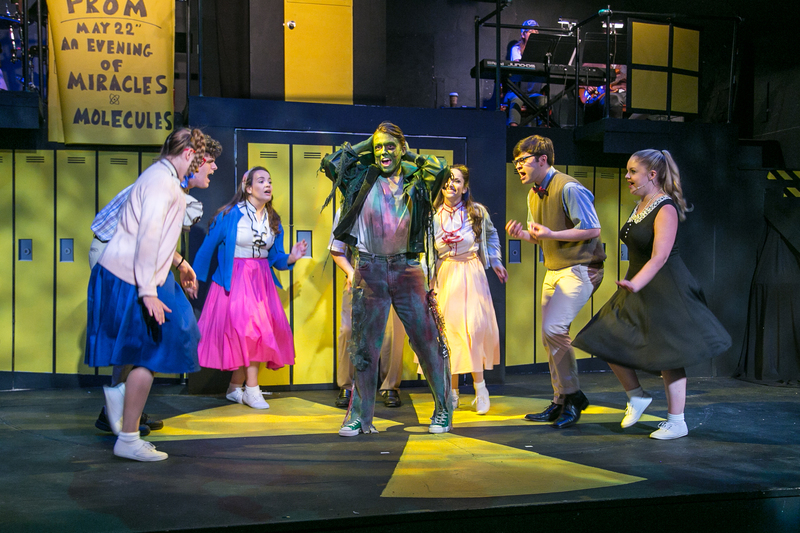 This girl-loves-ghoul rock and roll Off Broadway musical is set in the atomic 1950s at Enrico Fermi High, where the law is laid down by a zany, tyrannical principal. Pretty senior Toffee has fallen for the class bad boy. Family pressure forces her to end the romance, and he charges off on his motorcycle to the nuclear waste dump. He returns glowing and determined to reclaim Toffee's heart. He still wants to graduate, but most of all he wants to take Toffee to the prom. The principal orders him to drop dead while a scandal reporter seizes on him as the freak du jour. 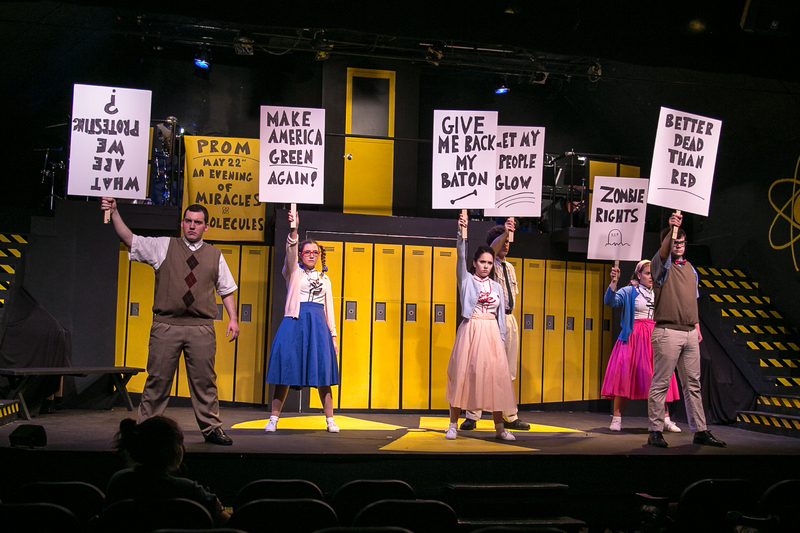 History comes to his rescue while a tuneful selection of original songs in the style of 50s hits keeps the action rocking across the stage. 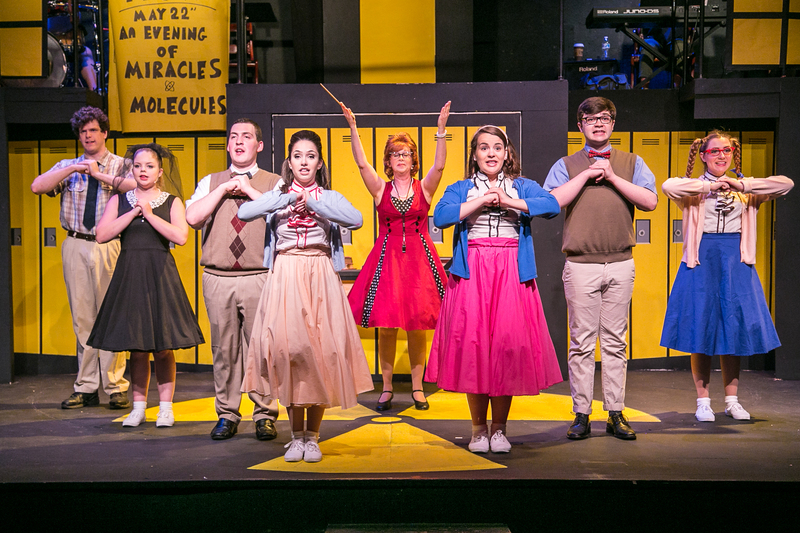 Don't miss the fun at this campy musical running through Aug. 5 at TheatreWorks New Milford. 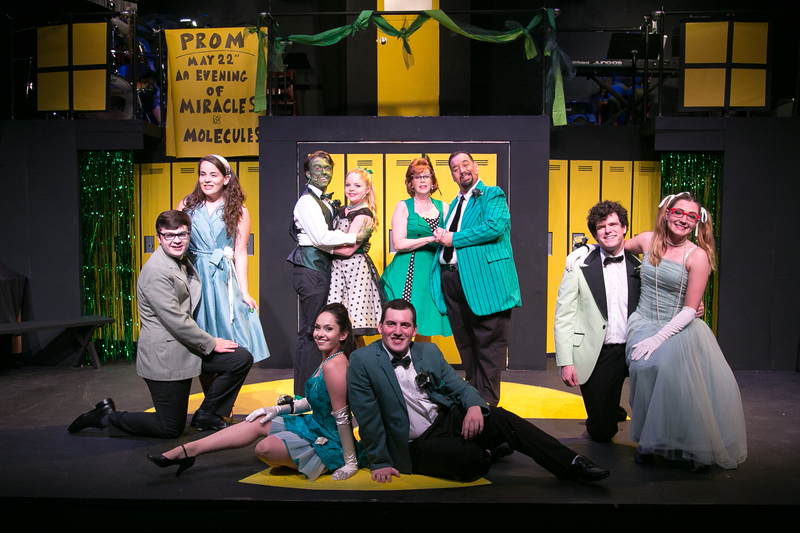 Zombie Prom, the fastest 90 minutes of music, dancing and schtick now cavorting on the stage at TheatreWorks New Milford.